The U.S. Courthouse is designed in the New Formalist style. 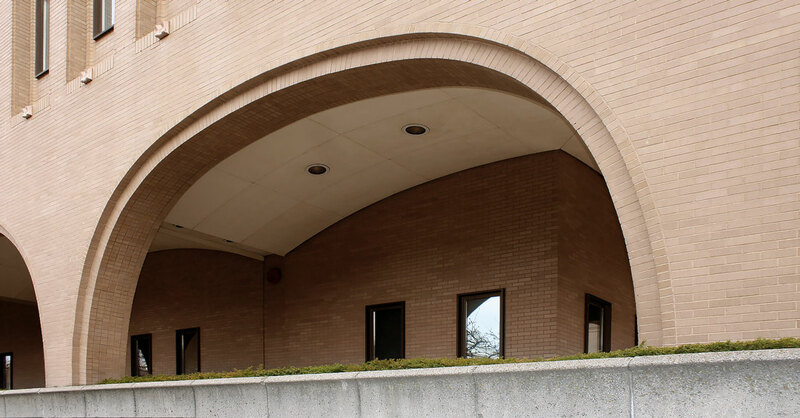 New Formalism is the name given to an architectural style that emerged in the 1960s and is most often seen in public or civic and commercial architecture. Also called Neo-Formalism, it applies the formal geometries of classicism in new forms, materials, and decorative expressions. Buildings designed in this style often display simple volumes on a raised base, one story or more in height. Formal rhythms and overall symmetry are reinforced with colonnades and pilasters. Alternatively, applied decoration may be seen in the form of patterned screens or grills, akin to an egg crate. 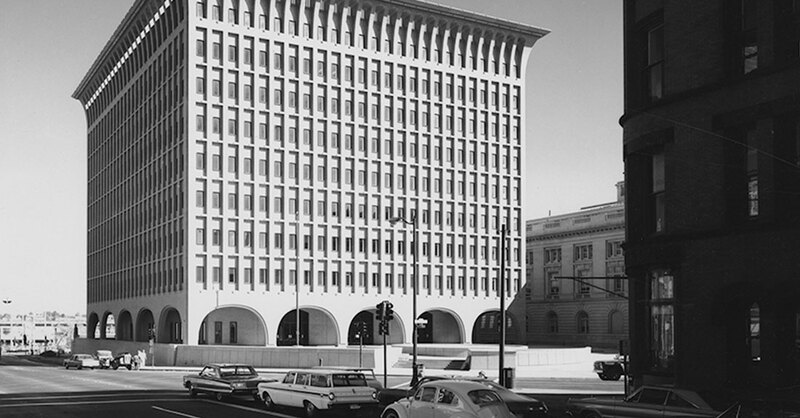 Character-defining features of the New Formalism style can also include the extensive use of modeled surfaces, exploiting the plastic qualities of concrete; geometric features that accentuate the roofline in place of a traditional cornice; and/or symmetrical fenestration that is secondary to the overall form and expression of the building. The U.S. 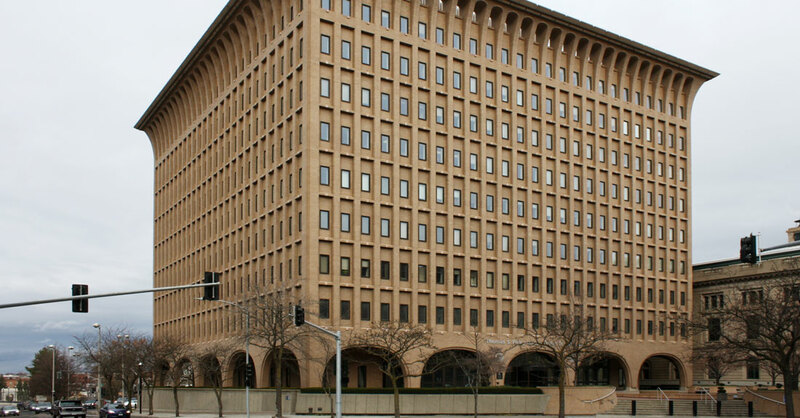 Courthouse shares a number of qualities with another of Spokane’s major examples of New Formalist architecture: the Parkade building at 511 W Main Avenue. Both are tall, with pronounced vertical ribs, terminating in a curved cornice with punched openings. 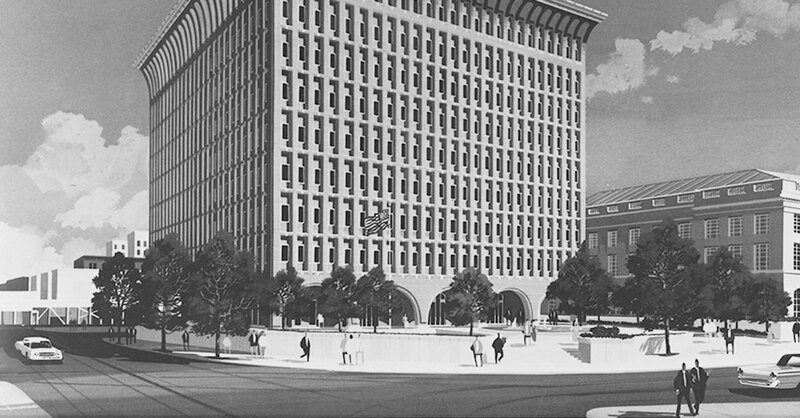 The Parkade building is humorous in its design qualities, however, whereas the U.S. 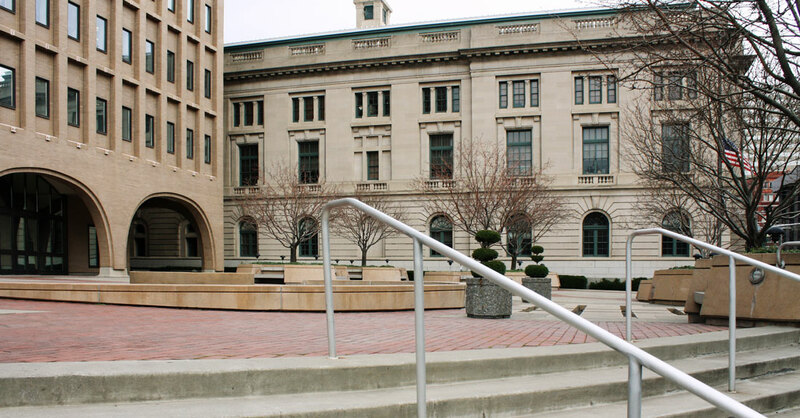 Courthouse, using a similar vocabulary, creates a dignified, monumental expression of the same architectural style. It’s sited in one of the most significant locations in Spokane, noteworthy for both its urban design qualities and its importance as a civic center. This was recognized in 1976, when it was nominated to the National Register of Historic Places as the Riverside Avenue Historic District. Designed by a consortium of local architects including Culler, Gale, Martell & Ericson; McClure & Adkison; and Walker & McGough, the U.S. 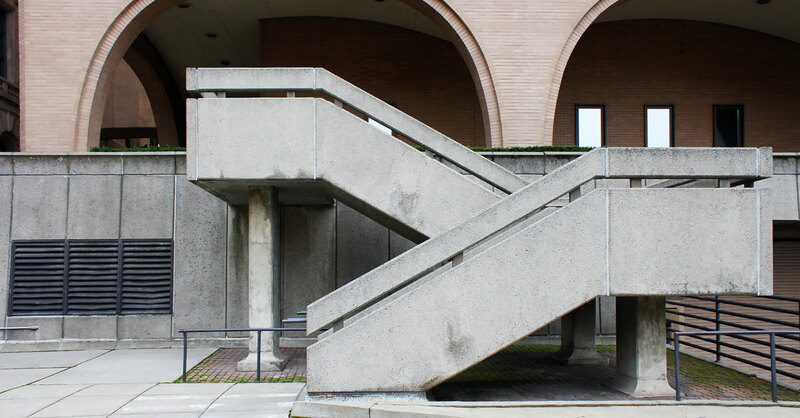 Courthouse was constructed in 1967 by Nelse Mortensen & Company of Seattle. 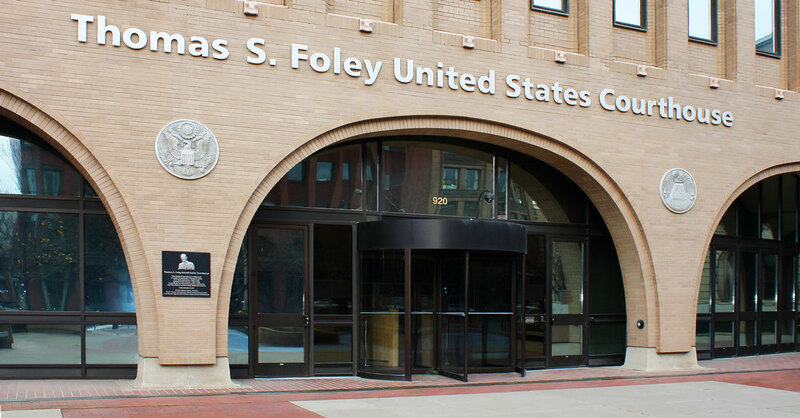 The building was dedicated to U.S. representative Thomas S. Foley in 2001.